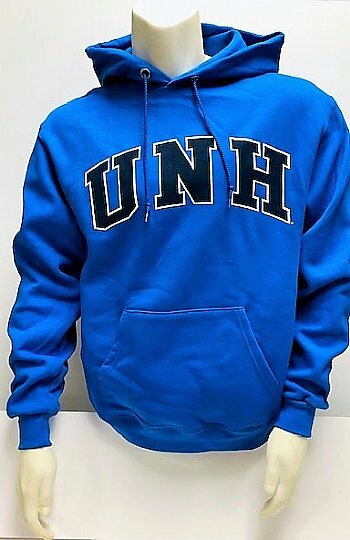 UNH Arch Champ Hood design screen printed 2-color UNH design on a 9 oz Fleece Hoodie. 50% cotton, 50% polyester with two-ply hood and matching basketweave tipped drawcord. Front pouch pocket with bartacks.